RSM Uniforms can manufacture the cheapest range of security uniforms shirts and trousers in Chennai. Kindly note that we can make anything and everything related to textile fabric, Incase you are in need of security accessories along with the uniforms you can visit the myriad of shops at Periamet in Chennai. If you are looking for decent quality security uniforms at nominal pricing please get in touch with us. We can provide you the security uniforms in polyviscose and terry cotton cloth based on your necessity. There are other options of fabrics also available with us. Generally the security service companies go for cloth label on the uniforms instead of hand/machine embroideries. We can also make cloth labels for you. Please call us for your requirement. 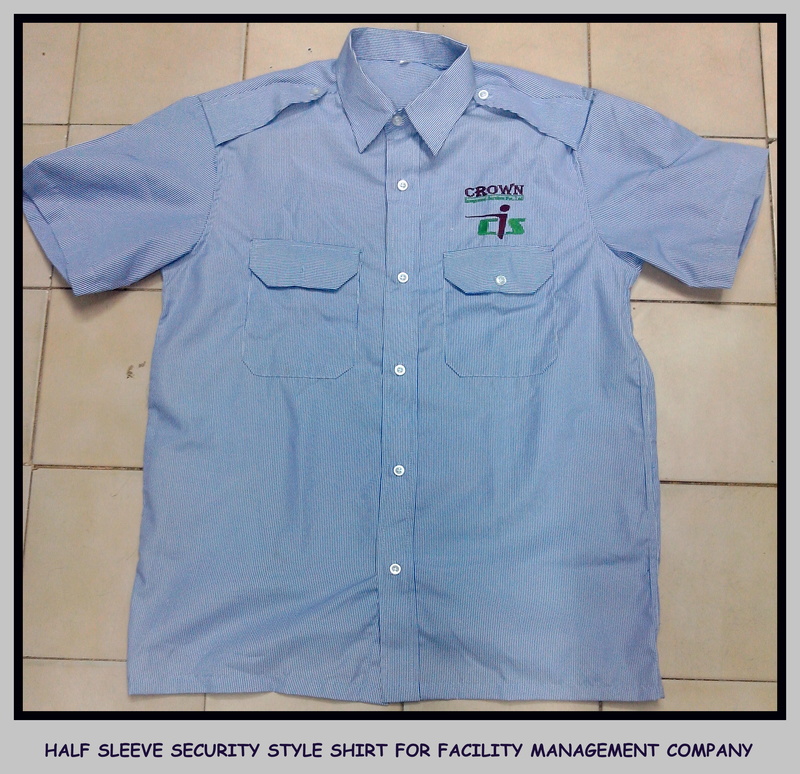 Below is a half sleeve uniform shirt displayed for a facility management company. The fabric used is poly viscose and the pricing is phenomenally cheaper than the market rates. Incase you are in need of thicker cloth for security uniforms then the best option is the terry cotton cloth made by us i.e Oswal by RSM Uniforms. There are n number of colors to choose from . 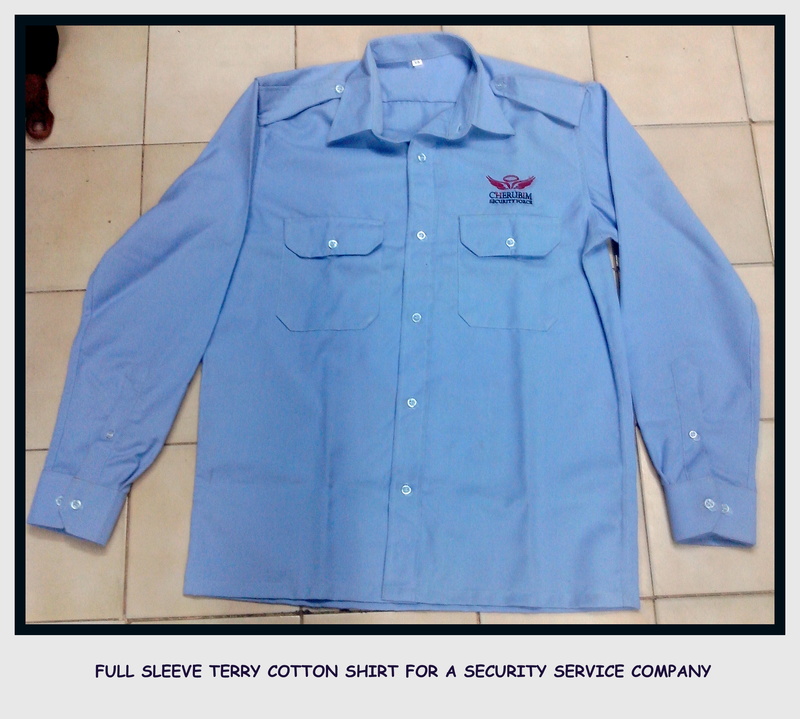 The shirt displayed is full sleeve security uniform shirt made from terry cotton cloth. Get in touch with us for anything and everything related to Security uniforms. Please call us on 9176634635 or our landline number 044 25386319.